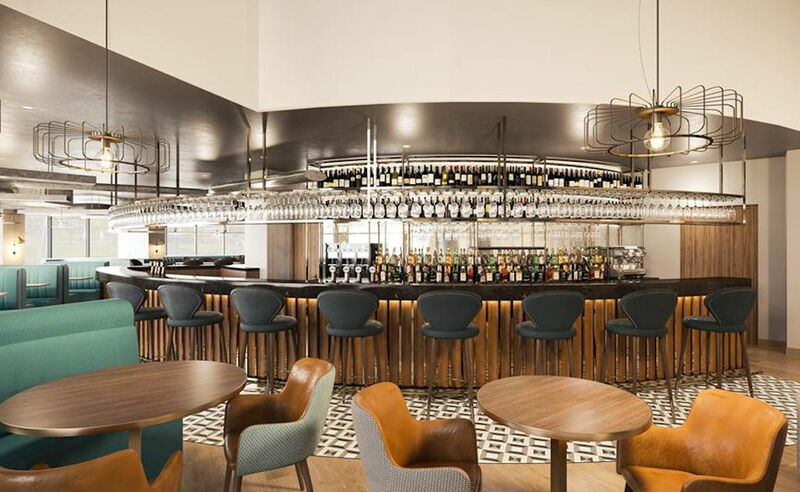 Acclaimed, double AA Rosette and Manchester-born chef, Andrew Green has revealed his creative and northern-inspired menu for Manchester’s new and anticipated restaurant, Mamucium Restaurant and Bar. Located in the NOMA Quarter within Manchester city centre and named after the Roman fort that was the birthplace of modern Manchester, Mamucium Restaurant and Bar, is an impressive 120-seat restaurant and bar set within the newly developed City Buildings development, next to Victoria Station and home to Manchester’s latest hotel opening Hotel Indigo® Manchester – Victoria Station. The venue’s centrepiece will be a stunning, Silestone and brass bar area. Green’s modern British menu concept is a creative melting pot of classic dishes that have been given a unique, northern spin; inspired by his Manchester roots. Provenance runs through Mamucium’s menu, as dishes are prepared using the finest local ingredients and merchants. Guests can expect to choose from a selection of mouth-watering starters including one that is guaranteed to be a seasonal showstopper, Mamucium’s Lancashire Onion Soup. A Northern take on the classic French Onion Soup, this dish will include onion cooked in delicately constructed lamb broth, topped off with a Lancashire cheese croute. Other starters include a Smoked Cheshire Beef Hash and Manchester Smoke House Salmon. For the main course, there are seven delicious ‘signature’ dishes to choose from including a flavoursome Lancashire Hot Pot prepared using Yew Tree Farm’s finest cannon of lamb, as well as Goosenargh Chicken, which is served with Blackstick Blue creamed potatoes. The menu also has tempting ‘Grilled’ section, featuring premium and succulent cuts of beef, pork and fish, which are simply seasoned and grilled. The main attraction here being the Lancashire beef, which is aged for 28 days in a Himalayan salt chamber. The dessert menu at Mamucium certainly doesn’t disappoint. Highlights include Mamucium Manchester Tart – a fresh custard tart, filled with delicious homemade raspberry jam, banana crisps and shaved coconut; a scrumptious Bakewell Steamed Sponge served with vanilla pod ice cream, and Warm Mini Eccles Cakes served with Trinity burnt cream, caramel crumb and wild berries. An epicurean’s playground, Mamucium offers a taste to suit all, and is a fitting location for any social occasion; from Intimate booths, to seats at the bar, and collective gatherings at the chef’s table. The kitchen view point is a prominent feature of the restaurant, bringing theatre and atmosphere to any dining experience. In addition to the main menu, Andrew has also designed a separate two and three course ‘Statuto’ set menu. Highlights include traditional starters such as Atlantic Prawn and Crayfish Cocktail, and Prosciutto, Compressed Melon, Rocket and Parmesan Salad. Wholesome main courses of Traditional Battered Fish and Chips with mushy peas and tartare sauce, or Wild Boar Tortelloni are also available on the Statuto menu. To complement, desserts include Blueberry Pavlova with crème Chantilly and Vimto blueberries, or a trio of Regional Cheeses. Families are well catered for at Mamucium; a delicious and nutritious children’s menu features favourites such as Mini Salmon Skewers, Roast Cumberland Sausages with creamy mash and Tomato and Mozzarella Folded Flatbread. Mamucium also offers a Vegan menu, and many dishes on the main menu are suitable for those with specific dietary requirements. 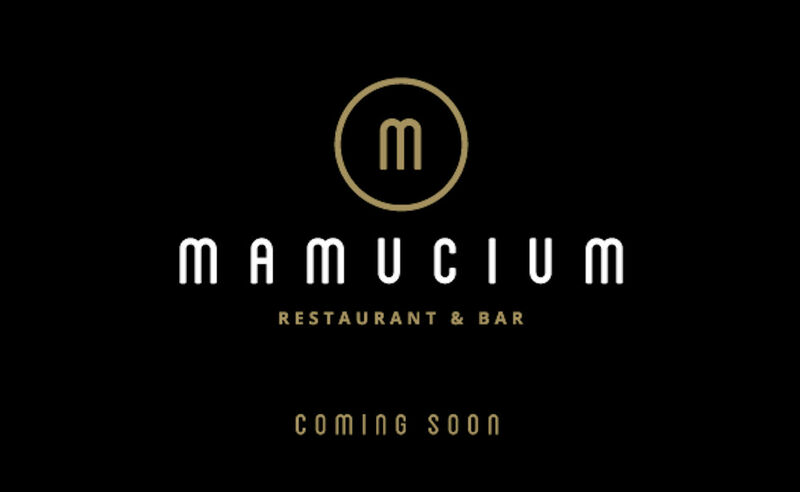 Mamucium will comprise a bar, restaurant and there will also be M Café, a cosy café located within the original part of the beautifully restored Grade ll listed City Buildings. M Café will serve an array of snacks including soups, salads, deli sandwiches, tapas and sharing plates, cakes and pastries in addition to locally ground coffee and specialist teas. 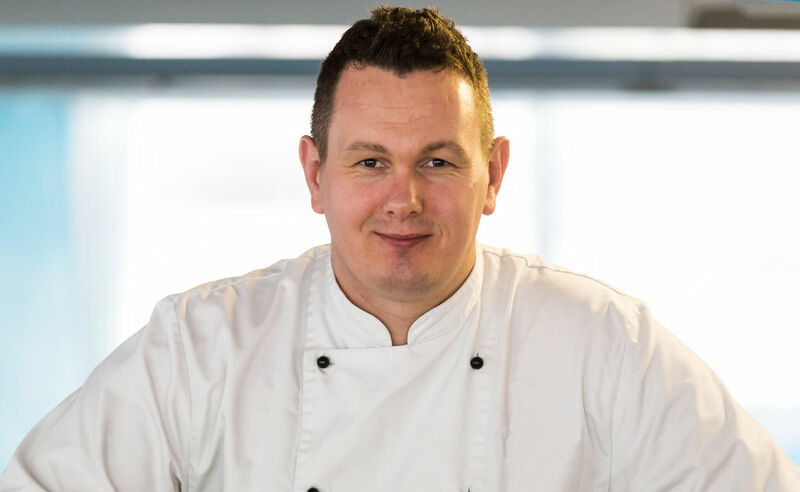 Ahead of the launch of Mamucium, the restaurant in the soon to open Hotel Indigo® Manchester - Victoria Station based next to Victoria Station, we had the pleasure of sitting down with Chef Andrew Green, the driving force behind one of Manchester's most hotly anticipated launches. Whilst probably not a household name amidst Manchester's ever-growing portfolio of well-known Chefs, Andrew Green is one of the Manchester hospitality industry's best regarded kitchen leaders, holding Head Chef positions in places including the Radisson, Crowne Plaza, and more recently, the 5 star Lowry Hotel, having previously worked in hospitality for Manchester United, a position which Andrew admits that if he had the time, he'd once again do free of charge, such is his love for the club. RoM - So Andrew, thanks for taking the time from your busy pre-launch schedule to have chat with us about Mamucium. Clearly we are in an office and not at your kitchen pass though, so how's the build coming along? 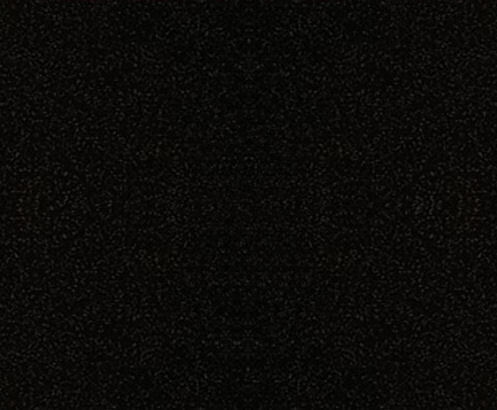 AG - Really well thanks. The kitchen is in, and is currently undergoing a few tweaks, so it's only a matter of weeks away from completion, and we can't wait to get in there and start work. RoM - What kind of kitchen and dining room layout and equipment do you have in the pipeline? AG - It's a fully state of the art kitchen, with 4 built in waterbaths, the latest Thermomix machines, amongst other things, all of which are there to deliver a better product on the plate. Most importantly, it's been really exciting to be involved in designing a scratch built kitchen, based around me and my team, rather than taking over one which was built in somebody else's vision. RoM - And how's the recruitment coming along, since it can be tricky to source the right calibre of staff in Manchester. AG - Again very well. The team comprises a lot of new faces, along with a number of people who I've worked with for many years and who I trust implicitly to deliver what we need. One member of the team has worked with me for 8 years, when he joined me as an apprentice, moving between 3 hotels during this stint, which is great. RoM - So onto the bit that matters; the food. Could you give us a bit of in insight into the menu and ethos? AG - We will be placed in the high end fine dining market, sitting alongside the current group in the city, in keeping with the rest of the hotel which will be a high end boutique style hotel, with great quality throughout. Food wise, there's a focus on using the best possible produce, locally sourced where possible, highlighting our regional gems. Lots of classical dishes will be on the menu such as Lancashire Hot Pot, Fish and Chips and Goosnargh Chicken with Blacksticks Dauphinoise, Manchester Tart, Trinity Burnt Custard with Eccles cake, along with less locally influenced dishes such as Dover Sole and Himalayan salt aged Beef FIllet with an Ox Cheek Pudding. Generally we aim for a high standard with competitive prices. There will also be an Afternoon Tea offering, in our coffee house during the day. Supplier wise the focus is again local, using both poultry and also butter from Goosnargh up near Preston, salmon from Manchester Smoke House and our coffee beans are roasted in Salford. RoM - You've been around a long time from a young age. How has industry and restaurant scene changed in Manchester? AG - A great deal. People in the industry used to work crazy hours, myself included. I once crashed my car after working unfeasibly long hours, and knew then that things had to change. The demands placed on people have had to change, which ties in with building a loyal team as I said earlier. If you look after your staff and treat them well, which includes giving them a work/life balance, they will produce better work and be more consistent. RoM - And finally, where do you like to eat when you're not working and where have you been lately which really stood out for you? AG - I like most places to be honest. I've been going to my same local curry house for 15 years as I absolutely love it. As for outstanding places; I visited Moor Hall over in Aughton the other week. RoM - Thanks again for your time Andrew, and all the best for your pending launch from the whole Restaurants of Manchester team. AG - You're very welcome!